We’re excited to introduce Stackdriver Error Reporting to help you quickly understand your application’s top or new errors. 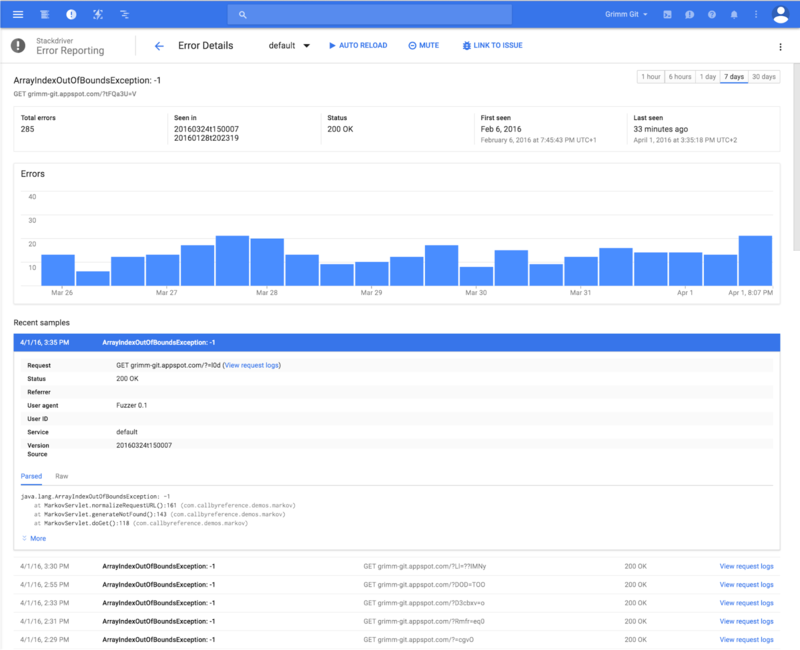 Stackdriver Error Reporting counts, analyzes and aggregates in real time the crashes in your running cloud services, and notifies you when there’s something new. Stackdriver Error Reporting allows you to monitor your application’s errors, aggregated into meaningful groups tailored to your programming language and framework. This helps you see the problems rather than the noise. Maybe you want to watch out for recently occurred errors in a given service, or judge the user impact of an outage. Just sort by first/last seen date, occurrences, or number of affected users to get the information you need. You can opt in to be notified when a new error cannot be grouped with the previously received ones, and jump directly from the email to the details of the new error. The “detail view” presents key error information to help you assess its severity and understand the root cause: a bar chart over time, the first time this error has been seen, and the affected service versions. Look through error samples to better diagnose the problem: inspect the stack trace focusing on its relevant parts and start to debug in Stackdriver Debugger, learn more about the request that triggered it and navigate to the associated logs. While an immediate next step could be to rollback your service, you also want to work on fixing the errors. Stackdriver Error Reporting integrates with your regular workflow by allowing you to link an error to an issue from your issue tracker. Once done, you can see at a glance which errors have associated issues. The feedback from our alpha testers has been extremely positive. A frequent response we heard was that Stackdriver Error Reporting helped you identify some hard-to-catch intermittent errors that were hidden in logs, increasing product quality. Thank you for the feedback! Stackdriver Error Reporting is now available in beta for everyone to try. Zero setup is needed for App Engine applications and requires just a few configuration steps on other platforms. 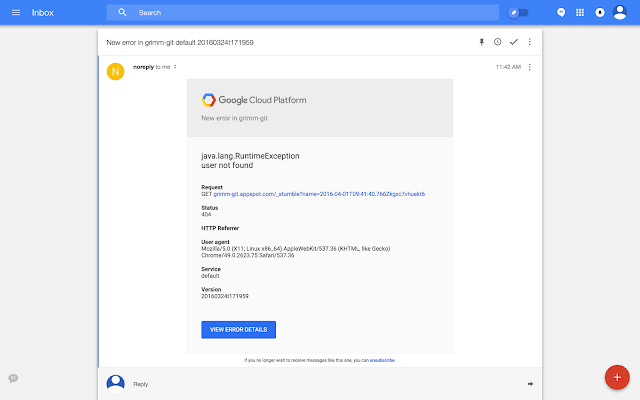 Visit http://console.cloud.google.com/errors to get started with your project. Would You Watch a Documentary Walking Through Codebases?